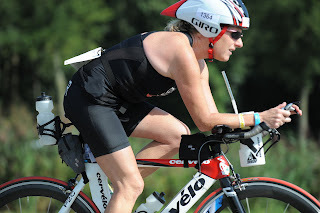 Claire placed an outstanding 9th in her age group at the ITU World Championships in Almere, Holland on Sunday. Like many other competitors on a very sunny day, she struggled towards the end of the run, but put in great swim and cycle performances, and beat her goal time of 9 hours by 10 MINUTES! Most importantly, she wasn't intimidated by a field of awesome athletes from all over the world. I was a very happy witness & proud "tri sherpa". Wow! That's like a pin-up picture. No fair that Claire can be fast and good-looking. Congrats; I'm so proud she represented us so well. I am not surprised in the least!! Way to go Claire! It runs in the family I guess! !